Holding steady this week at #24 in the All Access chart, Russell’s ‘Now And Forever’ has had more airplays than last week but hasn’t moved position. Russell sang a particularly moving “You Raise Me Up” at the National Memorial Day Concert in Washington DC on Sunday evening. For the moment, the concert is still available to watch, in full, either directly on the PBS YouTube channel or via their web site. Russell talks at length on Talk Radio Europe about his career and health, and mentions briefly plans for the rest of this year that include Ireland, London around Christmas-time and a UK Tour in 2018. Listen from 30 minutes in. More new dates for September are appearing now (even as we type) on Russell’s official website. Tickets are now on sale for Russell’s appearance at the Lancaster Grand Theatre on Thursday 21st September. It’s a fairly small venue so, to try to ensure a measure of fairness, seats on one side of the theatre are only available online while those on the other side are only available by telephone – 01524 845230. A “big thing” was made on Twitter and Facebook of Russell performing at Lincoln Drill Hall on Sunday 17th September 2017. Both items were deleted after a few hours but Russell’s proposed appearance is still shown on one of their website’s ‘events‘ pages, so it’s possible that their announcement was just a little premature, pending formal contracts. One to watch if you’re from that neck of the woods. 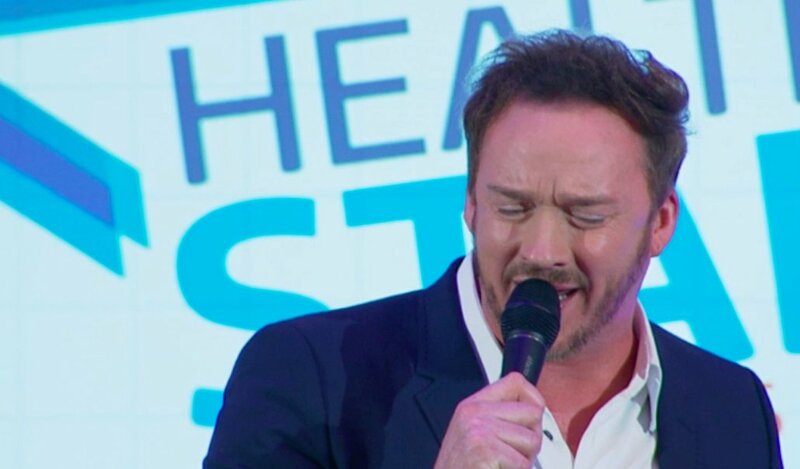 A new, quite exclusive date is posted via Twitter for Russell to entertain diners at the Opera Grill restaurant in Chester on Thursday 18th May. It appeared to have been fully booked prior to being posted or very, very quickly thereafter. The concert at Glasgow is cancelled shortly before it was due to start because of a fire in the building. No reports of any injuries. Russell and Team Watson evacuated safely.
.@RussellTheVoice gig at Armadillo in #Glasgow cancelled due to fire. Building evacuated, no injuries. 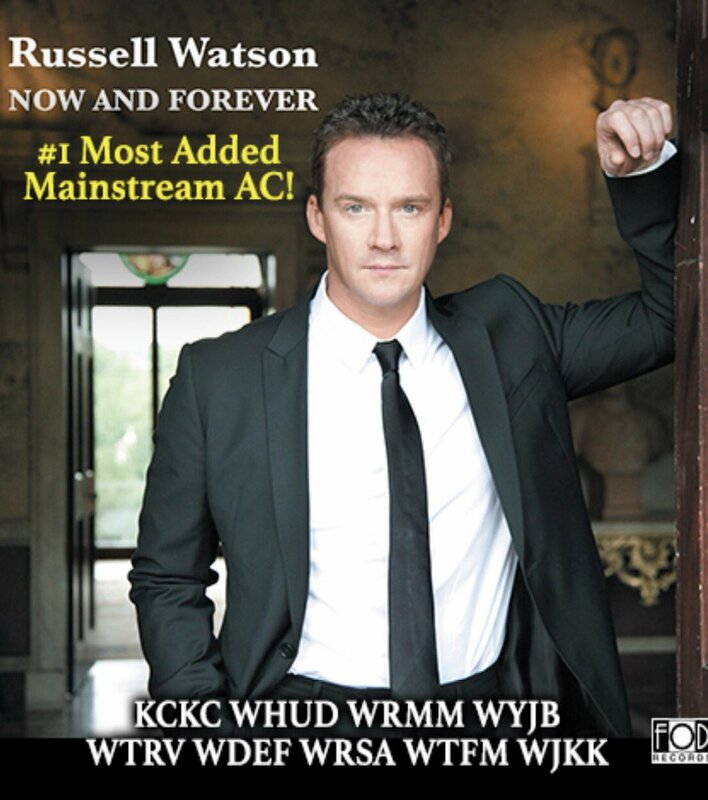 Russell’s latest single, the gorgeous ‘Now And Forever’, has gone into the US Charts (based on radio airplays) this week and flown straight up to #32. Russell is honoured to have been invited, once again, to perform at the United States’ National Memorial Day, to be held this year on Sunday 28th May from 8.00 pm on the West Lawn of the US Capitol. 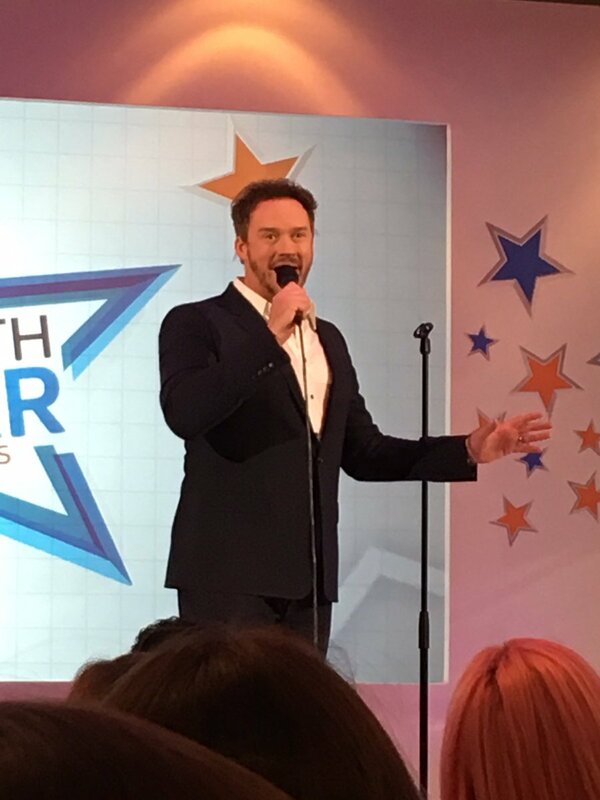 Russell made an appearance today at London’s Rosewood Hotel in support of Good Morning Britain‘s Health Star Awards that we hope might be televised tomorrow, or over the next day or so, on that ITV early morning programme. Read more about it (with another picture of Russell) here. Teddy Jamieson’s article for “The Herald” can now be viewed, free of charge, online either on that newspaper’s own site, here, or via the ‘PressReader’ website, here. Russell is on the cover of the ‘Magazine’ supplement to Scotland’s “The Herald” newspaper today and featured over pages 6 – 11, telling Teddy Jamieson of his early life and career, and how the two brain tumours he suffered have led to positive changes. Russell announces another new UK appearance, this time at Tombridge Castle, Kent on Sunday 9th July 2017 as a guest star for Great British Proms. Russell announces a new UK appearance at Bolesworth Castle, Cheshire on Saturday 2nd September 2017 as a guest star for Great British Proms.